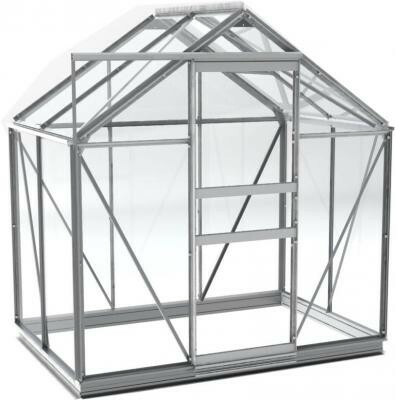 The Simplicity Stramshall is a robust greenhouse that benefits from years of refinement. At the lower end of the market in terms of price, it is actually more a mid level greenhouse in terms of the quality of the manufacturing and the thickness of the materials used. NOTE: this greenhouse has the option of bar capping which is not norllay found in greenhouse in this price range Compared to other greenhouses, Simplicity greenhouses are manufactured in relatively small numbers here in the UK. Only a select few agents are given permission to sell these greenhouses. 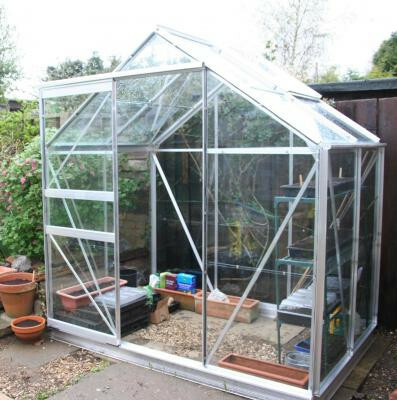 This is one of the strongest greenhouses on the market today for less than 750. Most greenhouses do not include diagonal roof braces. Simplicity models come complete with 4 (or 2 on the smallest models). These useful additions dramatically improve the strength of the frame, plus they make the greenhouse easier to assemble because they make the greenhouse more inclined to go up square. Simplicity models use the better quality stainless steel band clips to hold the glass in rather than the more flimsy galvanized wire clips All prices for this model include a sturdy aluminum base 4" high, complete with anchors. The Alu base gives you a firm foundation which can be assembled on soil, slabs or concrete and makes the job of assembly quicker and easier The unique Simplicity double box section corner bar gives the frame more rigidity than most other greenhouses. Along with the exclusive foam cushion glazing seal, this helps prevent loss of panes in windy weather. In our simple test, we were able to suspend 6 bags of cement (150kg) where as other makes of greenhouse were buckling with 50- 75 kg Door wheels are made from nylon for hard wearing characteristics. The door wheel bolt is turned from solid brass with a smooth shank to reduce wear on the wheel. This costs us more than other ways of doing it, but we know how frustrating it can be if wheels disintegrate on your greenhouse after a few years- and spares can be hard to come by Upgrade to the bar capping system and you can eliminate clips completely from your greenhouse- Glass will then be held in along it's full length - providing a far neater finish and superior strength in windy conditions.